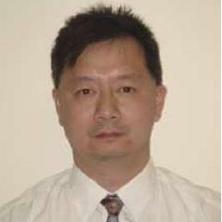 Dr. Hui Ma received his B.Eng and M.Eng degrees from Xi’an Jiaotong University, China in 1991 and 1994, M.Eng (by research) degree from Nanyang Technological University, Singapore in 1998, and PhD degree from the University of Adelaide, Australia in 2008. Dr. Ma has been working in the School of Information Technology and Electrical Engineering, the University of Queensland, Australia since May 2008. Prior to joining the University of Queensland, Dr. Ma has many years research and development experience. From 1994 to 1995, he was a researcher in Xi’an Jiaotong University, China. From 1997 to 1999, he worked as a firmware development engineer in CET Technologies Pte. Ltd., Singapore. He was with Singapore Institute of Manufacturing Technology as a research engineer from 1999 to 2003. His research interests include industrial informatics, condition monitoring and diagnosis, high voltage engineering and electrical insulation, power systems, wireless sensor networks, and sensor signal processing. Dr. Ma is a Senior Member of IEEE. Saha, T. K., Martin, D., Ma, H., Ekanayake, C., Russell, G., Buckley, G., Gray, T. and Caldwell, G. (2016). Smart monitoring of power transformers: Project update. In: CIGRE Session 46. CIGRE Session 46, Paris, , (). August 21, 2016-August 26, 2016. Seo, Junhyuck, Ma, Hui and Saha, Tapan (2015). Signal extraction methods for online partial discharge (PD) measurement of power transformers. In: 2015 IEEE 11th International Conference on the Properties and Applications of Dielectric Materials (ICPADM), Sydney, Australia, (252-255). 19-22 July 2015. Saha, T. K., Ma, H., Ekanayake, C., Martin, D. and Allan, D. (2014). Pattern recognition techniques for determining the health index of oil-paper insulation of in-service power transformers. In: CIGRE Session 45 - 45th International Conference on Large High Voltage Electric Systems 2014. 45th International Conference on Large High Voltage Electric Systems 2014, CIGRE 2014, Paris, France, (). 24-29 August 2014. Chan, Jeffery, Ma, Hui and Saha, Tapan (2013). A comparative study on signal processing for partial discharge measurement. In: Cigré Colloquium. Managing Substations in the Power System of the Future: Trends in Technology, Design, Materials and Diagnostics, Brisbane, QLD, Australia, (). 8-13 September, 2013. Martin, Daniel, Ma, Hui, Ekanayake, Chandima, Saha, Tapan, Lelekakis, Nick and Williams, Kerry (2013). State of the Art Review On Managing Vegetable Oil Filled Transformers. In: Cigre Study Communities B3 / D1 Colloquium Brisbane 2013. Cigre Study Communities B3 / D1 Colloquium Brisbane 2013, Brisbane, QLD, Australia, (1-13). 8 - 13 September 2013. Chan, Jeffery C., Ma, Hui, Saha, Tapan K. and Ekanayake, Chandima (2012). A novel level-based automatic wavelet selection scheme for partial discharge measurement. In: 2012 22nd Australasian Universities Power Engineering Conference (AUPEC). 2012 22nd Australasian Universities Power Engineering Conference, Bali, Indonesia, (1-6). 26-29 September 2012. Ma, H., Saha, T. K., Ekanayake, C. and Allen, D. (2012). Modern machine learning techniques for power transformer condition assessment. In: CIGRE Session 44, Paris, France, (1-8). 26-31 August 2012. Dehghani Ashkezari, Atefeh, Saha, Tapan K., Ekanayake, Chandima and Ma, Hui (2011). Evaluating the accuracy of different DGA techniques for improving the transformer oil quality interpretation. In: AUPEC 2011 proceedings. AUPEC 2011: Australasian Universities Power Engineering Conference. Integrating Renewables into the Grid, Gardens Point, Brisbane, Australia, (1-6). 25-28 September 2011. Ma, Hui, Saha, Tapan K. and Ekanayake, Chandima (2011). Machine learning techniques for power transformer insulation diagnosis. In: AUPEC 2011 proceedings. 21st Australasian Universities Power Engineering Conference (AUPEC), 2011, Brisbane, Australia, (1-6). 25-28 September 2011. Ekanayake, Chandima, Saha, Tapan, Thomas, Andrew and Ma, Hui (2009). Reliability of dielectric response measurements for estimating moisture in oil impregnated paper insulation. In: Energy 21C: The 10th International Transmission and Distribution Conference & Exhibition (Electricity and Gas Networks), Melbourne, VIC, Australia, (1-26). 6-9 September 2009. Ma, Hui and Ng, Brian W. -H. (2007). Distributive target tracking in wireless sensor networks under measurement origin uncertainty. In: Palaniswami, M, Marusic, M and Law, YW, Proceedings of the 2007 International Conference On Intelligent Sensors, Sensor Networks and Information Processing. 3rd Intelligent Sensors, Sensor Networks and Information Processing Conference, Adelaide Australia, (299-304). Dec 03-06, 2007. Ma, Hui and Ng, Brian W. -H. (2006). Distributive JPDAF for multi-target tracking in wireless sensor networks. In: Tencon 2006 - 2006 Ieee Region 10 Conference, Vols 1-4. IEEE Region 10 Conference (TENCON 2006), Hong Kong Peoples R China, (680-683). Nov 14-17, 2006. Ma, H, Zhang, JB, Zhao, YZ, Tan, CH and Qu, RT (2003). Knowledge discovery application framework for manufacturing execution, diagnosis and optimization. In: Unland, R, Ulieru, M and Weaver, C, Indin 2003: Ieee International Conference On Industrial Informatics, Proceedings. IEEE International Conference on Industrial Informatics (INDIN 2003), Banff Canada, (141-146). Aug 21-24, 2003. Wu, GG, Xie, HK, Ma, H, Jiang, XW, Chen, ZQ and Sun, DL (1997). Pattern recognition of PD in large turbine generators with a neural network system. In: Proceedings of the 5Th International Conference On Properties and Applications of Dielectric Materials, Vols 1 and 2. 5th International Conference on Properties and Applications of Dielectric Materials, Seoul South Korea, (252-255). May 25-30, 1997.